For top quality parts & service, get your valve actuators in Riverside CA from Bernell Hydraulics. Valve actuators can be extremely useful both for maintaining precision control of flow with a modulating valve or for implementing an emergency shut down. Naturally you need valve actuators in Riverside CA you can rely on. To get them, shop with a trusted name like Bernell Hydraulics. After being southern California’s favorite hydraulic parts supplier since 1977, we know how to deliver the best quality parts and service every time. The Bernell Hydraulics stores have literally thousands of parts on hand, including many different types of valve actuators. We’re confident we can help you get the right valve actuators in Riverside CA for your application, whether that be a linear, quarter-turn, or rotary control valve. Store Pickup–We have 4 store locations to serve you. Onsite Delivery–We will deliver and install your valve actuators right at your job site. Shipping–If you just need to restock your supply of actuators, we can ship them to you. 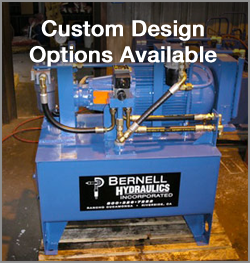 At Bernell Hydraulics, we have virtually every part you could need for your application. We even have the ability to create custom hydraulic parts. We can easily help you find any kind of part you need and ensure these parts are compatible with your new valve actuators in Riverside CA. We’d be happy to answer any questions you may have about our inventory. Just call us at 800-326-7252.